Cosmo Electrical is the well known brand name in the field of supplying Co-Axial Television Cables, which is the kind of copper cables used by cable TV companies between the community antenna and user homes and businesses. 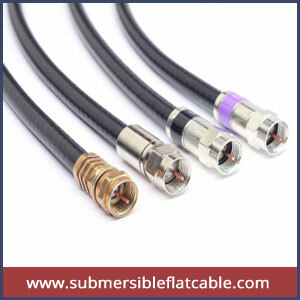 The co-axial television cables are fairly a familiar type of shielded data transmission cable which is made up of two conductors that are co-axially oriented and they separated by a layer of insulation. The offered Co-Axial cables are designed to carry the high-frequency signals, and to protect those signals against electromagnetic interferences form the external sources. These cables are mainly associated with the television services. You can also find these cables in lots of applications, including the commercial radio communication, ham radio, undersea cable systems, closed-circuit television and other Ethernet applications. The most common type of conductor used with the co-axial cables in the BNC conductor.